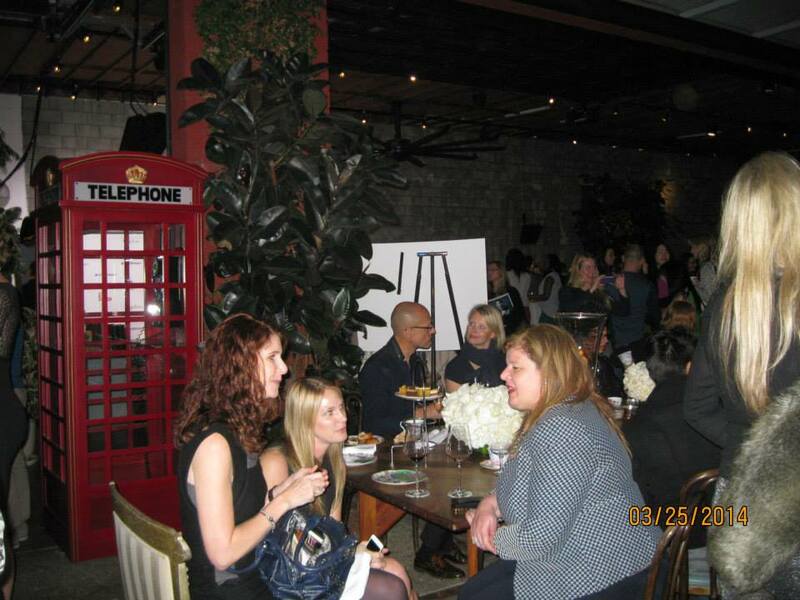 The Best of British Luxury event was recently held in Los Angeles hosted by VisitBritain, the National Tourist Board for England, Scotland and Wales and Angeleno Magazine and held at The Smog Shoppe. 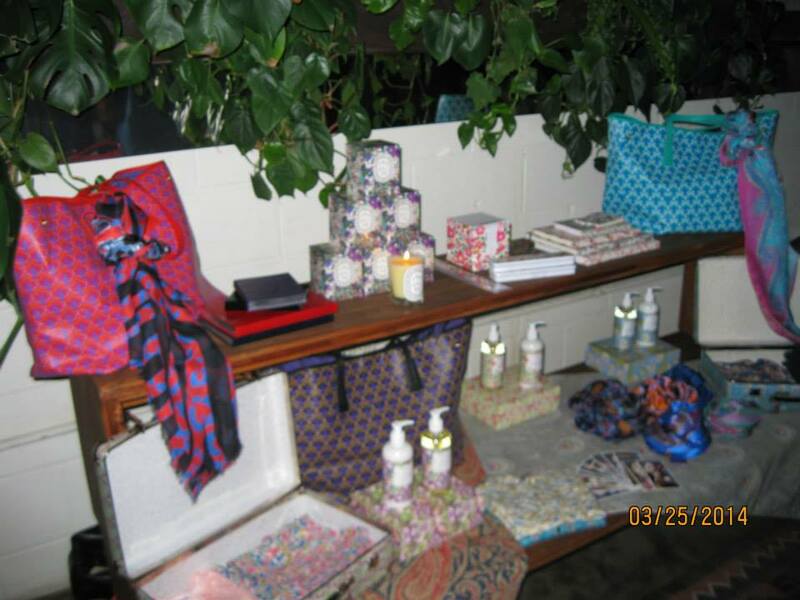 Top British brands were on display to inspire guests to take their own lavish trip to the U.K. Designed to whet the appetites of travel-savvy Angelenos, this experiential journey offered a first-hand glimpse at luxury from the other side of the pond. Anglophile expert, Elyse Ashton attended and had a glorious time reveling in the beautiful design and advanced engineering of Aston Martin‘s new Vanquish; she learned about the art of bespoke clothing and shoe-making with Lutwyche Tailors and Foster & Son; the intoxicating scents of Royal Warrant-holder, Floris London perfumery; took a sneak peek at Pringle of Scotland’s new 2014 fashion collection; discovered scarf styling ideas with Liberty of London’s unique and iconic fabrics; indulged in her favourite pastime, British Afternoon Tea created by Executive Chef Paul Bates of InterContinental London Park Lane in partnership with Wedgwood; and partook in Whisky tasting with Glenfiddich! Lets take a look at Elyse’s evening of British Luxury! 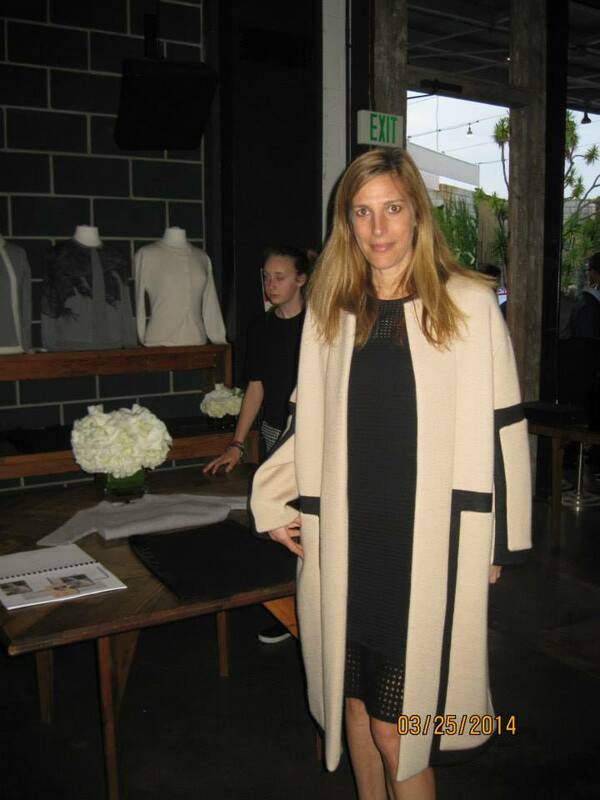 A Night of British Luxury with Elyse Ashton! 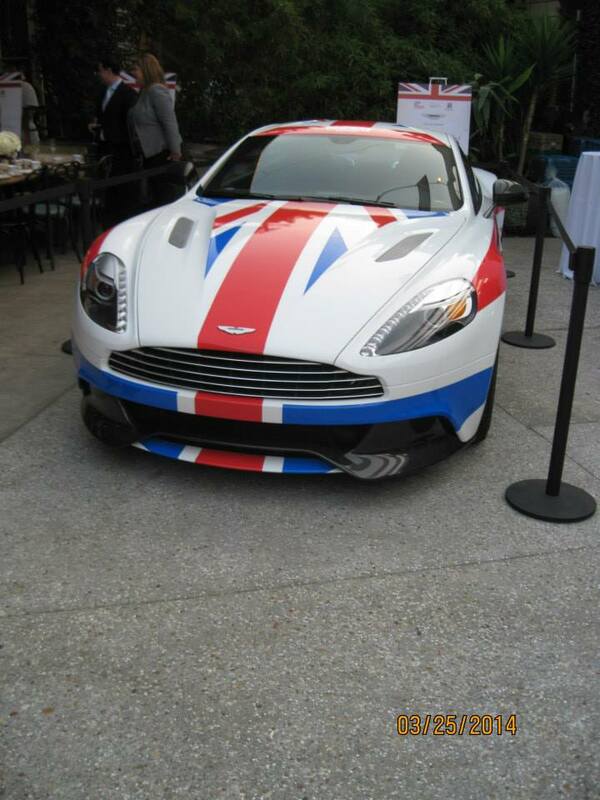 Greeting guests as they walked in was this custom made Aston Martin Vanquish. 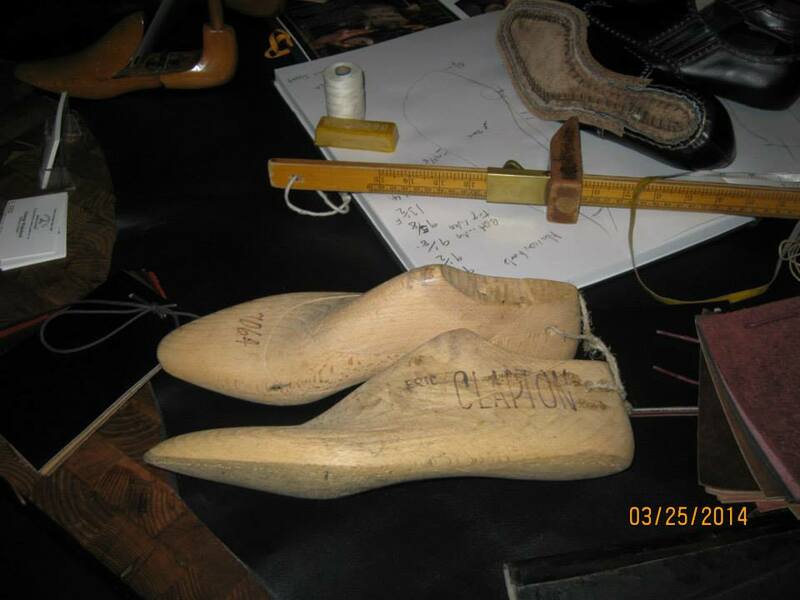 It is made by hand, which takes about 250 hours. It will cost you $280,000, but with this much style and speeds up to 190 MPH, it should be the official car of The Anglophile Channel! The exciting Aston Martin Vanquish! 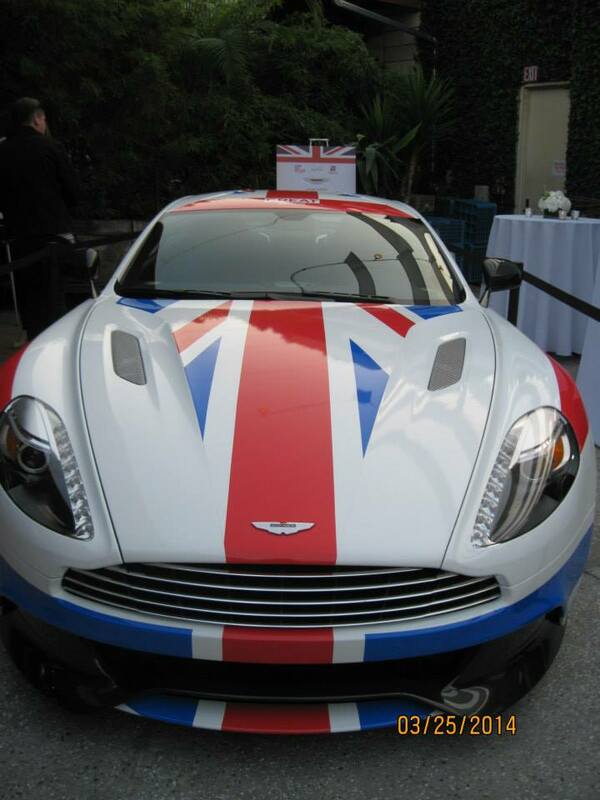 Aston Martin Vanquish…a must for any Anglophile! 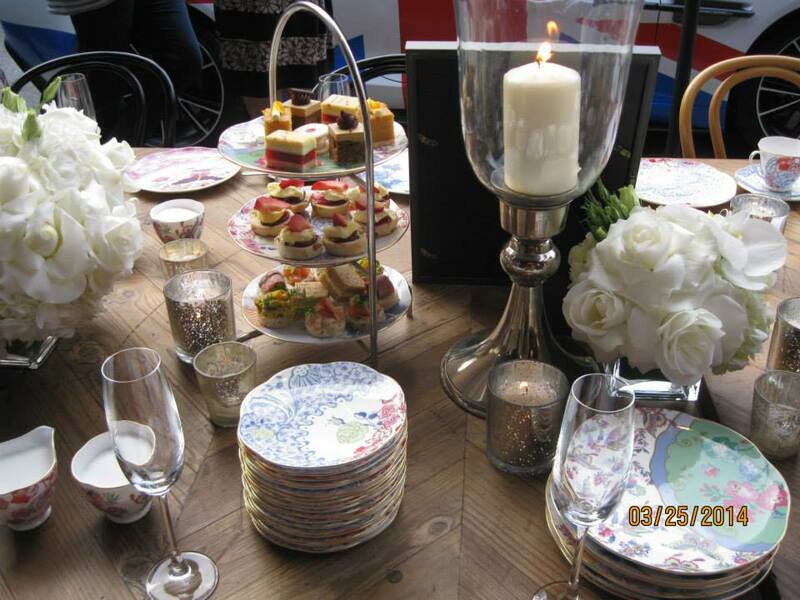 The decadently tempting tea table was hosted by the Intercontinental London Park Lane. They say location is everything and Park Lane, between Hyde Park and Green Park is a perfect place from which to explore London. Teatime at the Intercontinental a ‘must do’ on every trip to London! 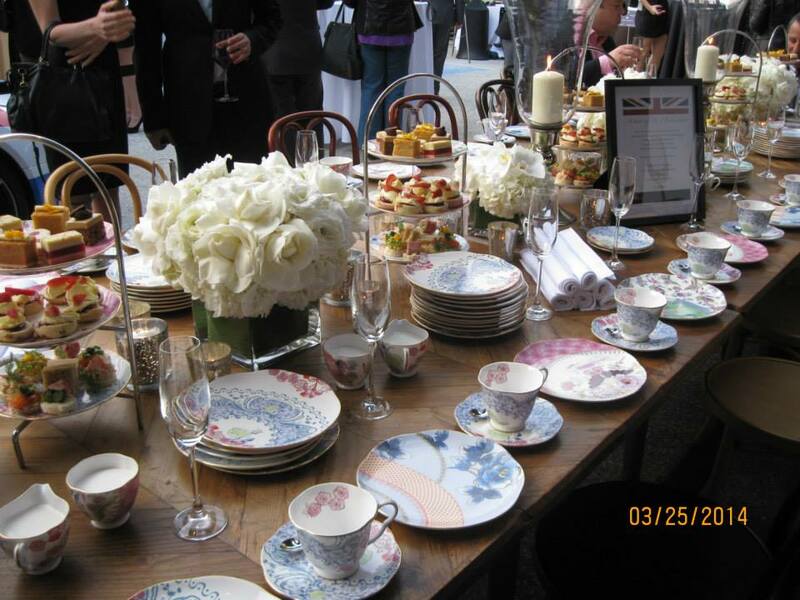 British Luxury tea table hosted by The Intercontinental London Park Lane. 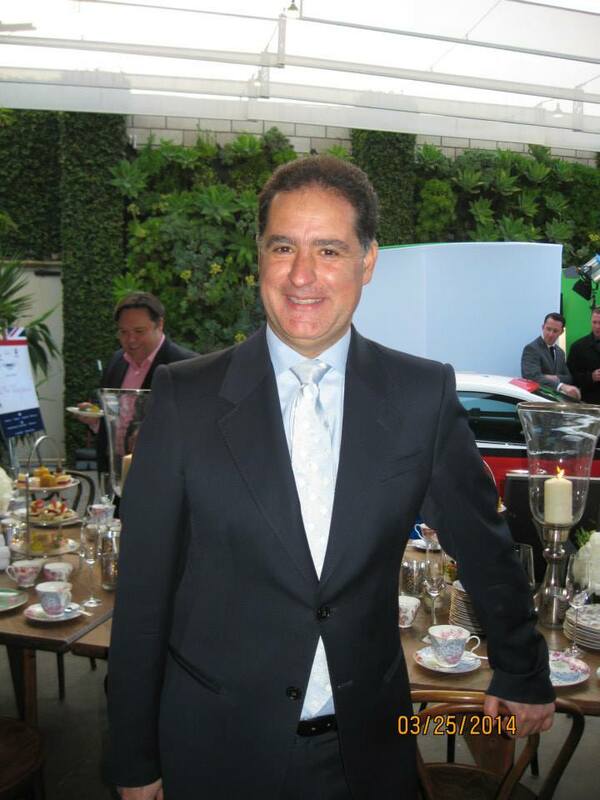 Alvaro Rey, the general manager of The Intercontinental London Park Lane, described the three kinds afternoon teas served at the hotel: Traditional, Botanical and Royal. One of each, please! All the savories were prepared by Chef Paul Bates and the pastries by Chef Luis Mesa of the Intercontinental London Park Lane . They make an effort to locally and responsibly source ingredients and serve the very best quality. They’ve even been trying out some vegan options, but we all agreed there is no substitute yet to match proper cream to top your scones! 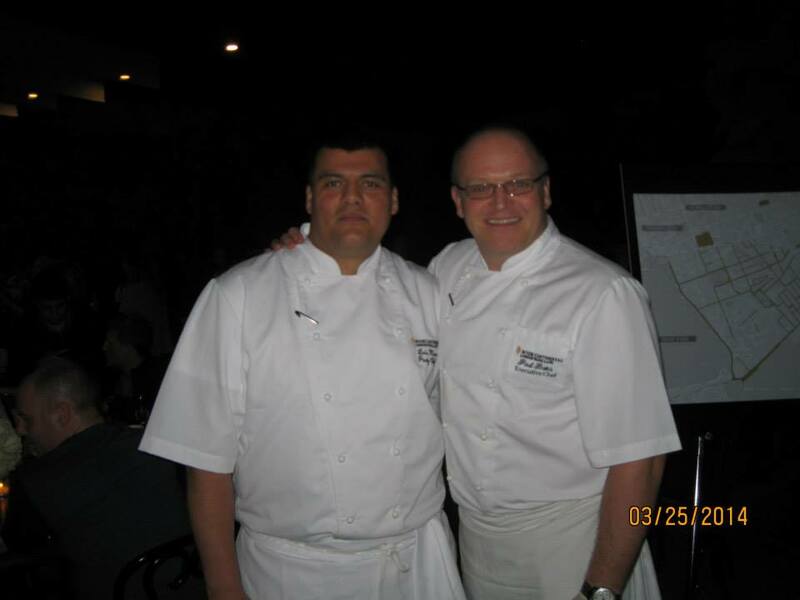 Intercontinental Park Lane London Chef Paul Bates and Pastry Chef Luis Mesa. 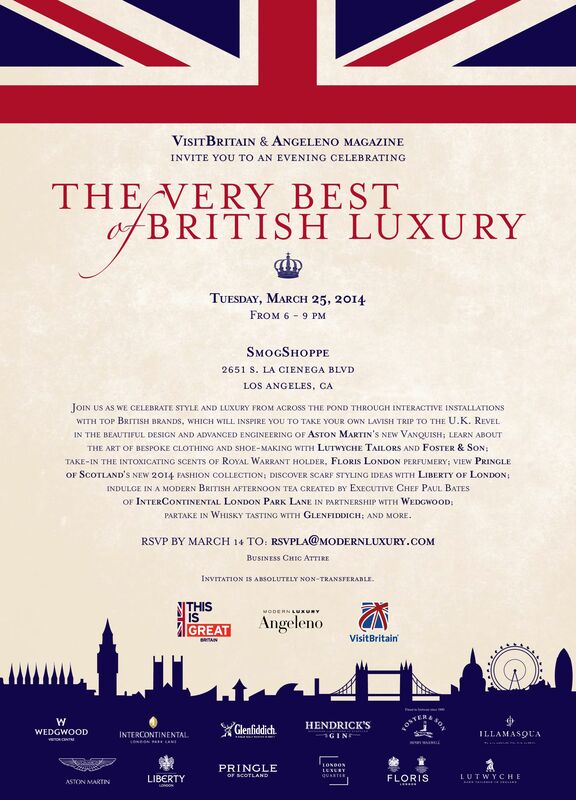 Lutwyche has brought British bespoke hand tailoring to Los Angeles! The have partnered with Saks Fifth Avenue Beverly Hills if you just can’t get away to visit their Clifford Street shop in London. They emphasize quality fabrics and expert tailoring which is why bespoke suit prices start at $4500. 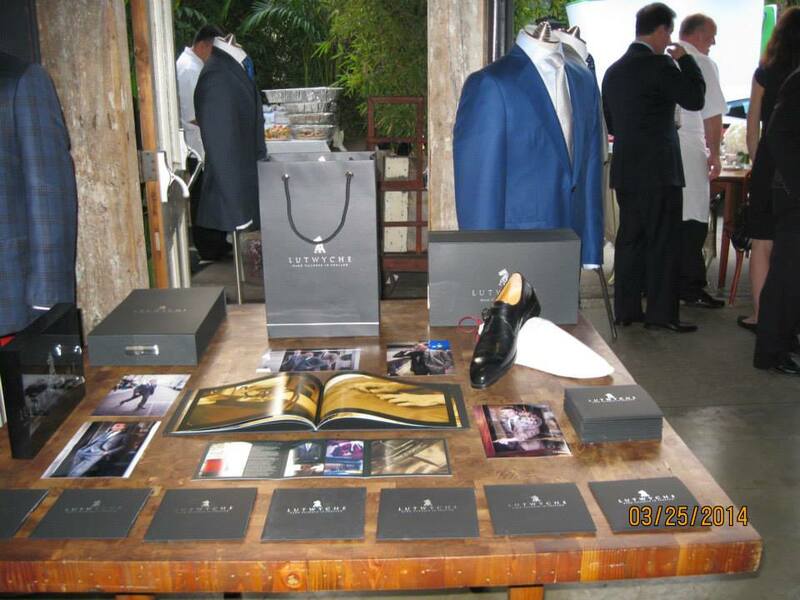 Lutwyche has brought British bespoke hand tailoring to Los Angeles! The have partnered with Saks Fifth Avenue Beverly Hills. Did you know that Pringle of Scotland invented the twin set? These are vintage twin sets made for Princess Grace, and are so classic you could wear them today. Pringle, which is a 200 year old company with their flagship shop in London’s fashionable Mount Street, still uses all Scottish wool such as cashmere from Hawick, and weaves it into both classic and contemporary designs. Vintage twin sets made for Princess Grace of Monaco by Pringle of Scotland. 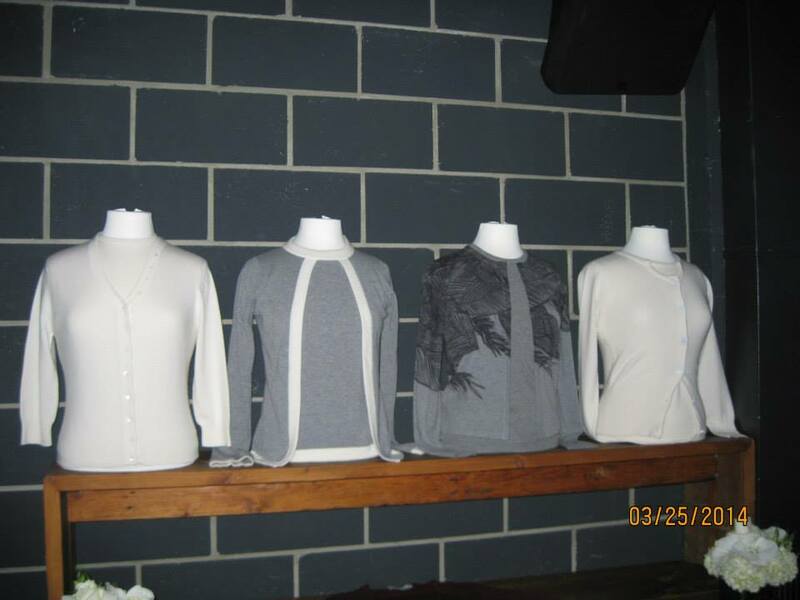 Pringle of Scotland’s Rae Miles shows off some of this season’s creations. Good to be wrapped up in Scottish woolies on a chilly Los Angeles evening! 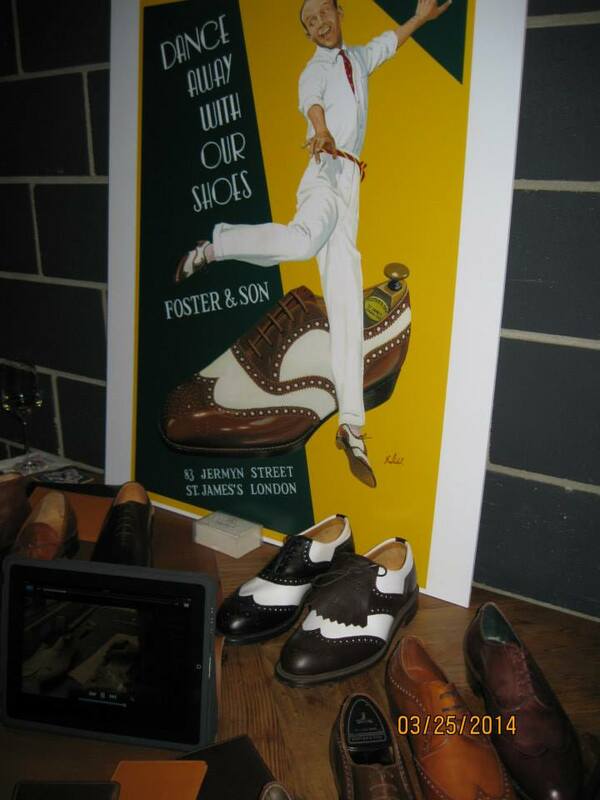 Foster & Son of Jermyn Street, London had a display of incredible British lasts (including Eric Capton’s who seems to have a very fine foot), shoes and shoe making supplies. They have been making bespoke and ready to wear items since 1840 and celebrity clients include Clark Gable and Paul Newman. Incredible designs and examples of hand stitching made us marvel, and the friendliness of their representatives made the whole notion of bespoke items much less intimidating! They explain the whole process and are rightly proud of their products. Eric Clapton’s last. A fine foot indeed! Foster & Son. Foster & Son. 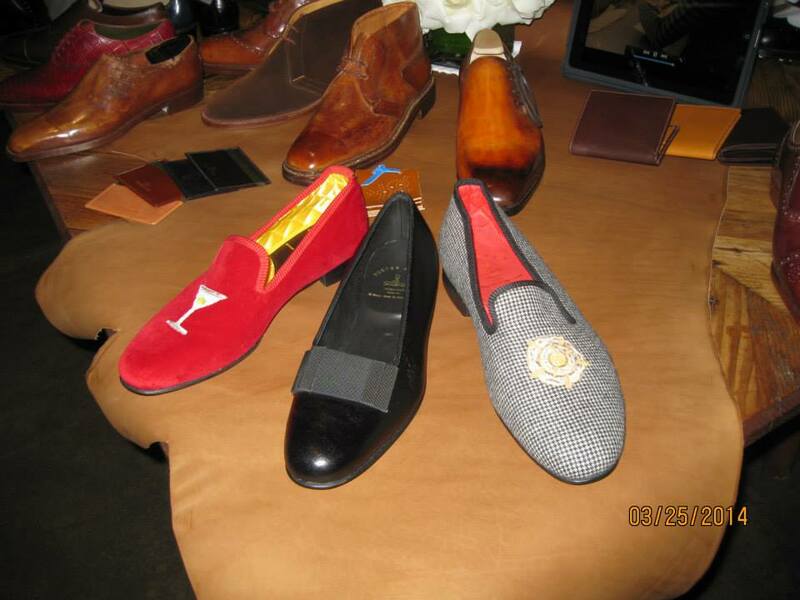 Footwear to the stars! 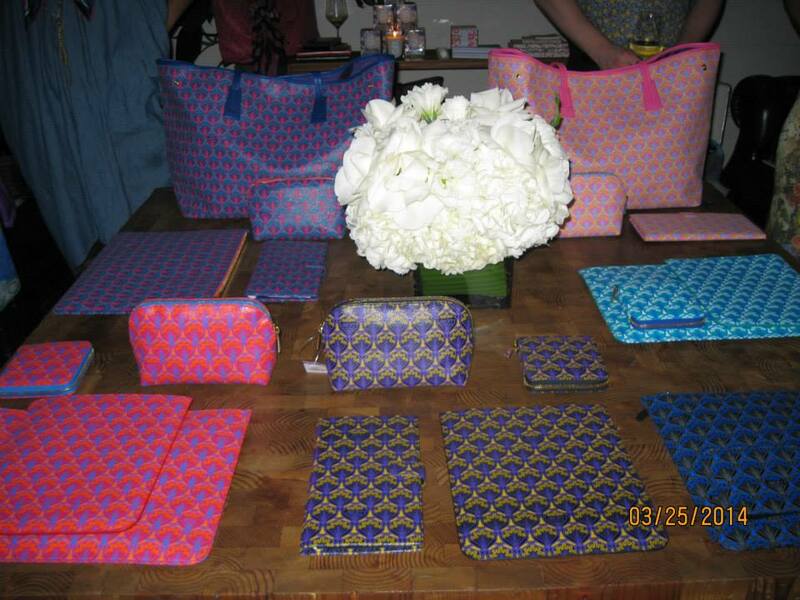 Gorgeous colors and designs from Liberty of London. Shake off that notion of stodginess and fussy Victorian prints. This is twenty first century modern! 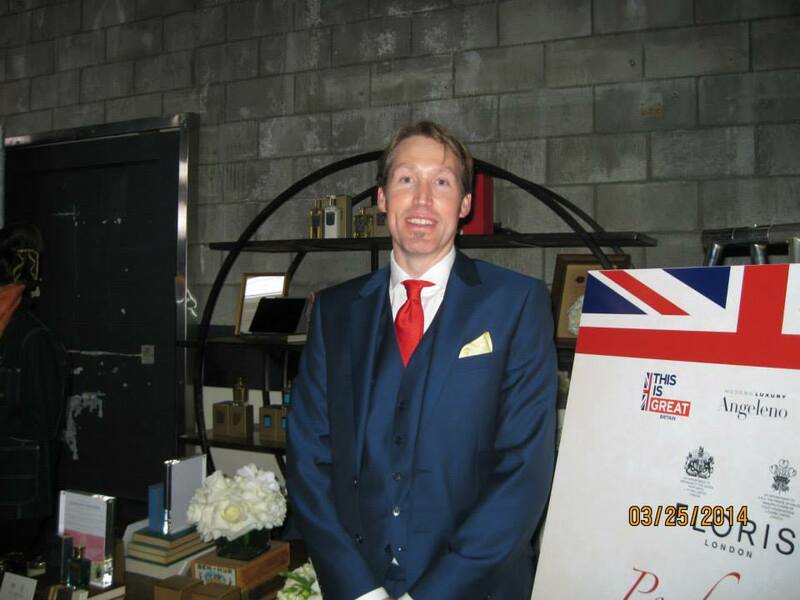 Edward Bodenham of Floris London has tales to tell! He should, as Floris was founded in 1730, connected to the same family for nine generations, and perfumed some very well-known personages. Winston Churchill and Eva Peron wore the same scent–Special No. 127–and you can still purchase it today You can read the fascinating history of their shop on their website www.florislondon.com, and even visit a museum in their Jermyn Street shop in London. 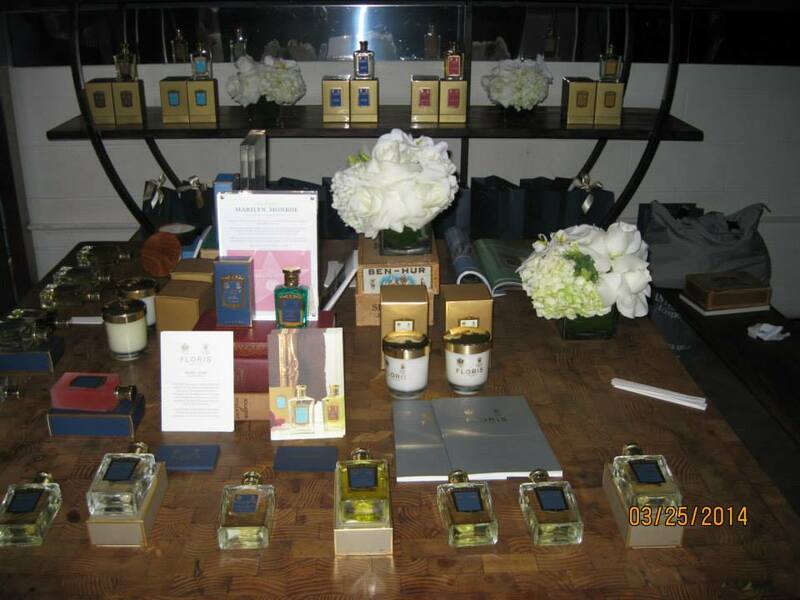 Floris is the sole perfumer to the Queen and every British Monarch since George IV. Princess Diana officially opened their Devon factory in 1989. Customers can wear the same scent as celebrity clients like Oscar Wilde, Ian Fleming and Marilyn Monroe or try one of their newest creations like the exotic Soulle Ambar. I think my sample might lead to a little shopping excursion…. 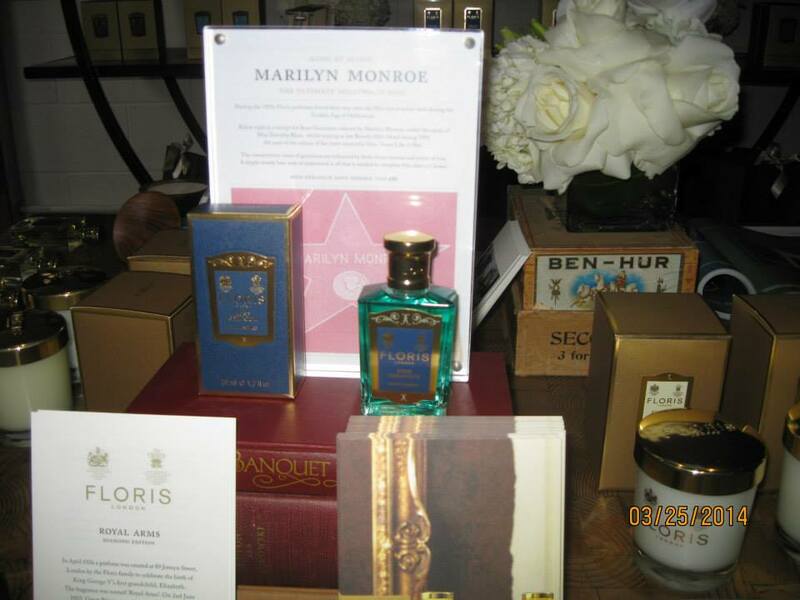 Floris is the sole perfumer to the Queen and every British Monarch since George IV! 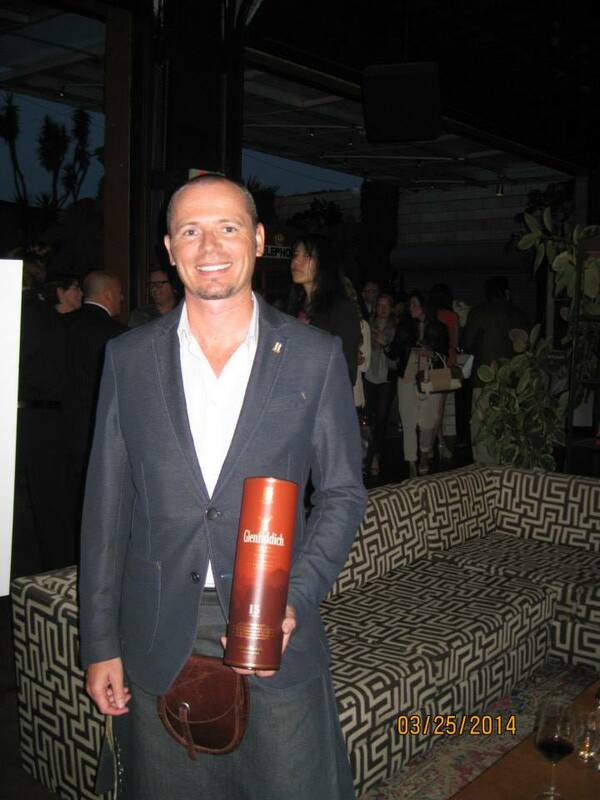 Mitch Bechard, brand Ambassador for Glenfiddich looking dapper in his kilt. 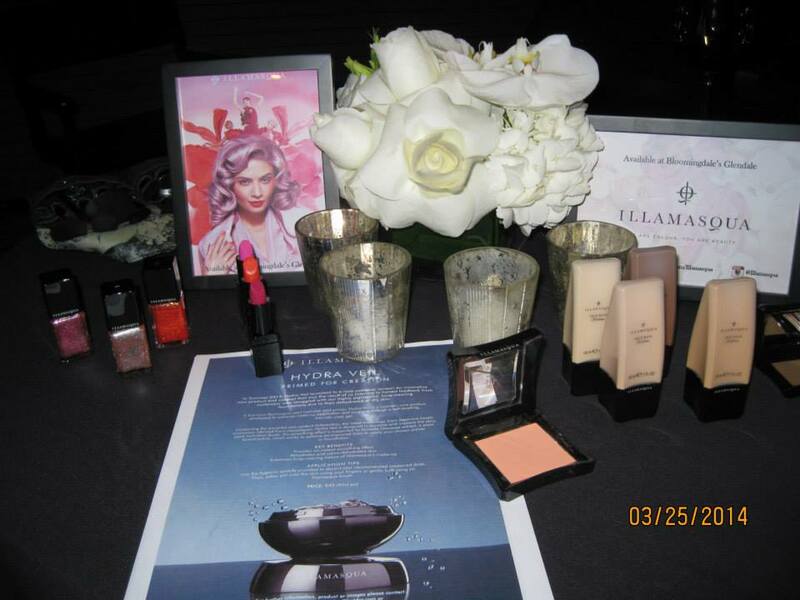 Illamasqua is a line of decadent cosmetics founded by Julian Kynaston. These rich colors and passionate representatives encourage every person to express what is unique and beautiful in themselves. They have created a partnership with the Sophie Lancaster Foundation and proceeds from their black eyeliner sales go to fund this charity named after a young goth girl who was bullied and beaten so severely she died of her injuries. Mad fashion meets compassion! Guests enjoying a taste of British Luxury. A fabulous night indeed! I’m ready to head to the UK and start immersing myself in the of British Luxury! I’ll be sure to share my excursions with you! 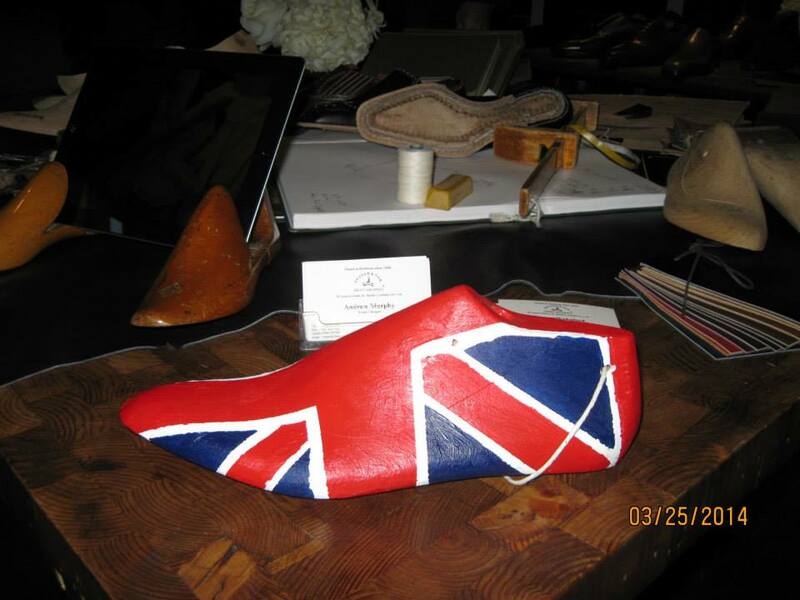 Elyse Ashton, Anglophile on the go! 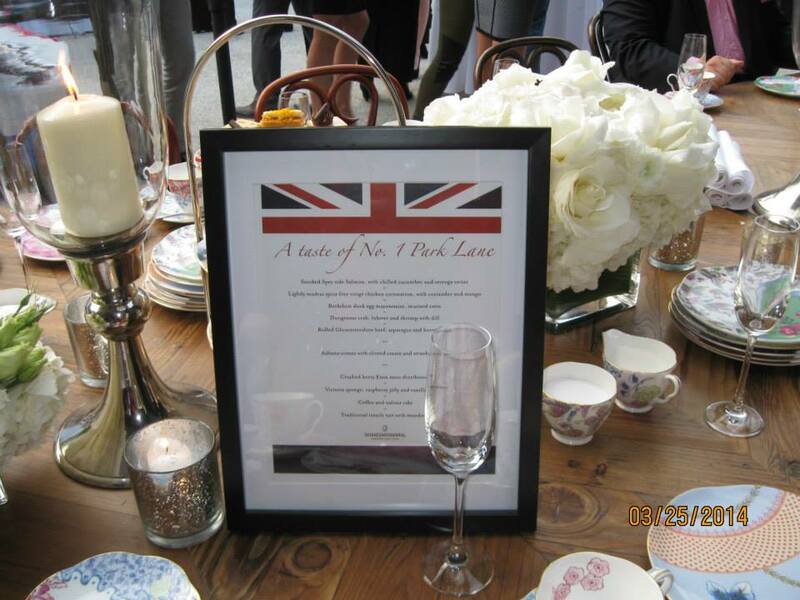 This entry was posted in Bats In My Bonnet By Lady Elyse Ashton, Home Page Posts, Rule Britannia! and tagged British Luxury. Bookmark the permalink.